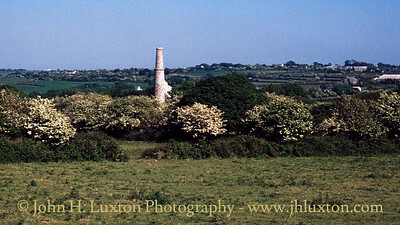 Killifreth Mine sett lies about a mile northeast of St. Day to the west of the village of Chacewater. 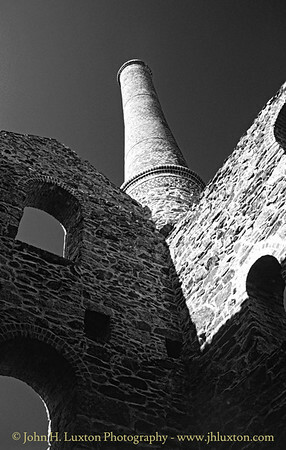 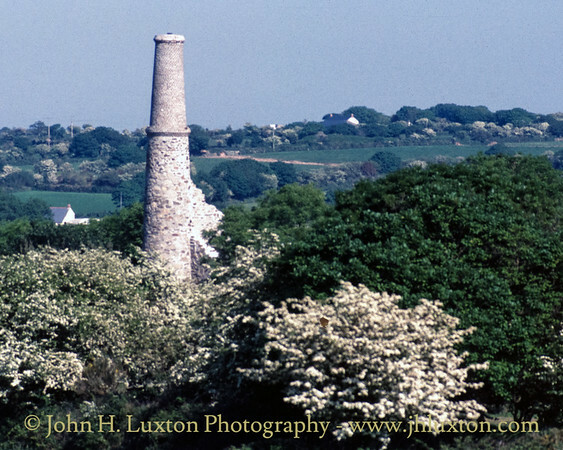 Hawke’s Shaft is noted for its pumping engine house having the tallest chimney in Cornwall. 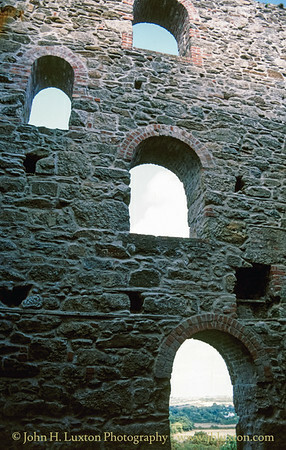 The large engine house originally contained an 80-inch pumping engine. 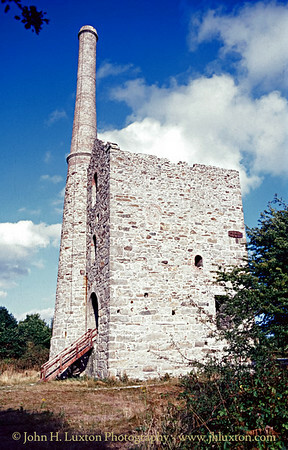 It’s notable chimney was enlarged following the mine’s reopening in 1911 to provide sufficient draft for a larger 85-inch engine which had been bought second hand from North Wales. Operations were suspended during the First World War but briefly resumed between 1919 and 1920. 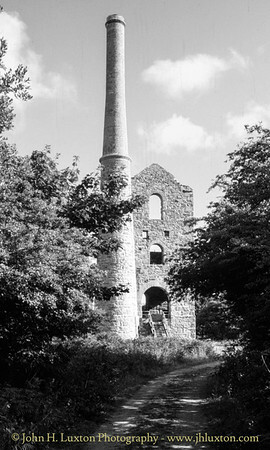 A further attempt to resume mining in 1927 were thwarted by vandalism to the engine and head frame. 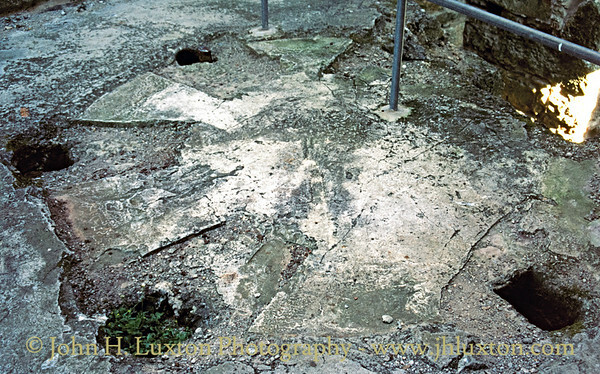 The engine and remaining plant fell victim to the scrap man during World War II. 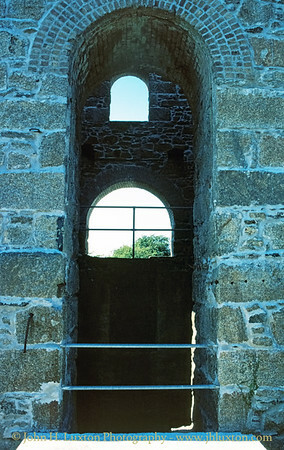 The engine house was consolidated and conserved shortly before the photographs in this gallery were taken. 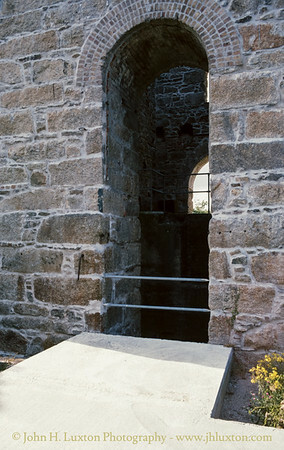 Hawke's Shaft Engine House showing the entrance steps erected when the building was conserved and consolidated during the late 1980s. 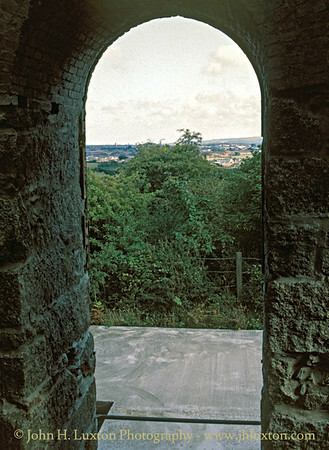 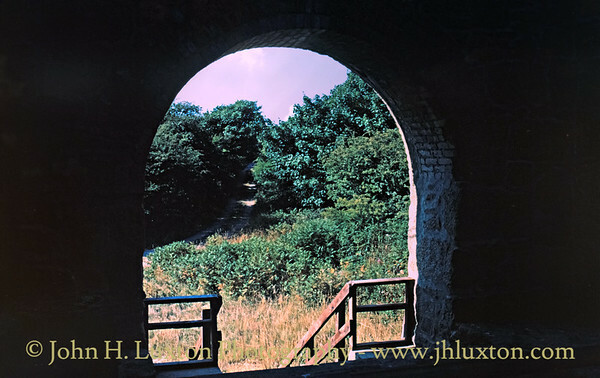 View from the rear door of Hawke's Shaft Engine house showing the then recently installed cap to the shaft. 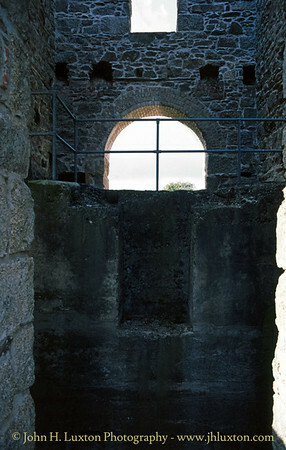 View into the engine house from the cap over Hawke's Shaft at Killifreth Mine. 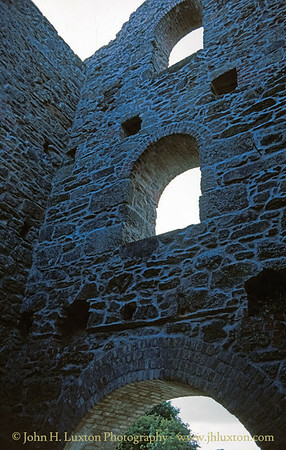 Interior of Hawke's Shaft engine house. View of the chimney stack from within Hawke's Shaft engine house. 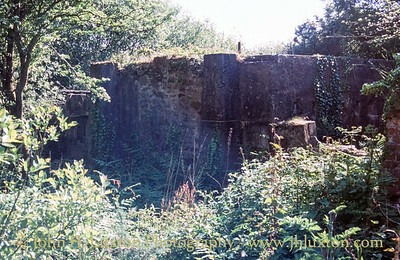 Vie win to the cataract pit where the valve gear of the pumping engine was located. 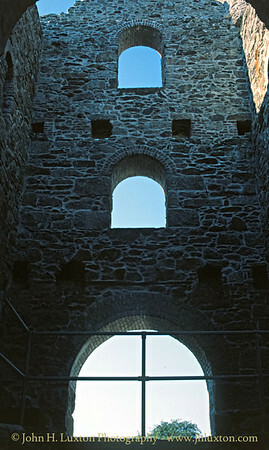 The bob wall of Hawke's Shaft engine house Killifreth Mine. 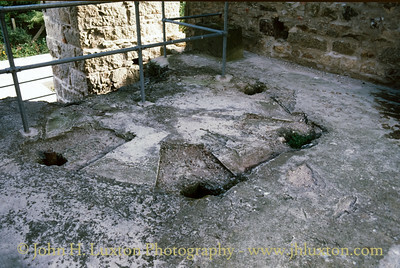 Cylinder bed plate showing the location of the fixing bolts. 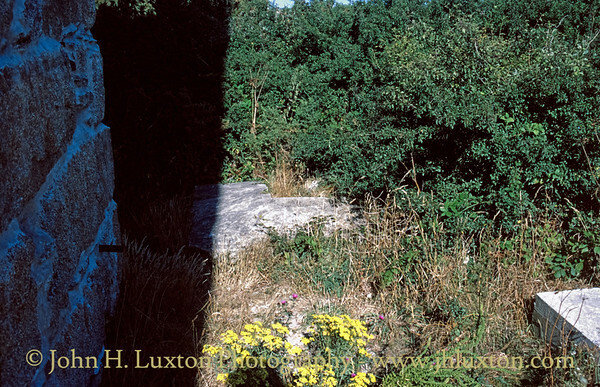 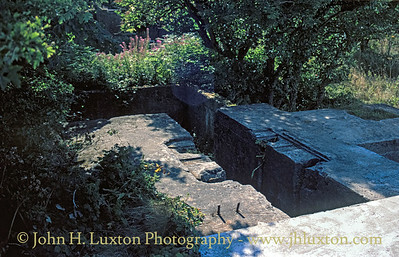 Concrete head gear footings at the rear of Hawke's Shaft engine house. 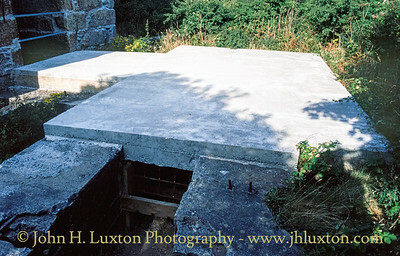 The Balance Bob pit at the side of Hawke's Shaft. 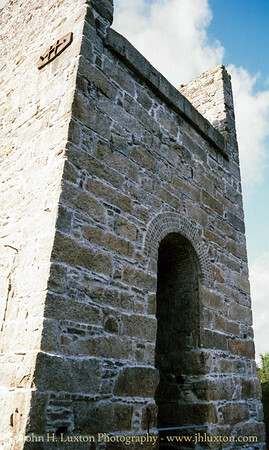 The cap at Hawke's Shaft - the grating at the side provides access for bats.